Wear our T-shirts to show that you care about the environment, biodiversity, and your native ecosystems. Every plant counts. Grow Natives! 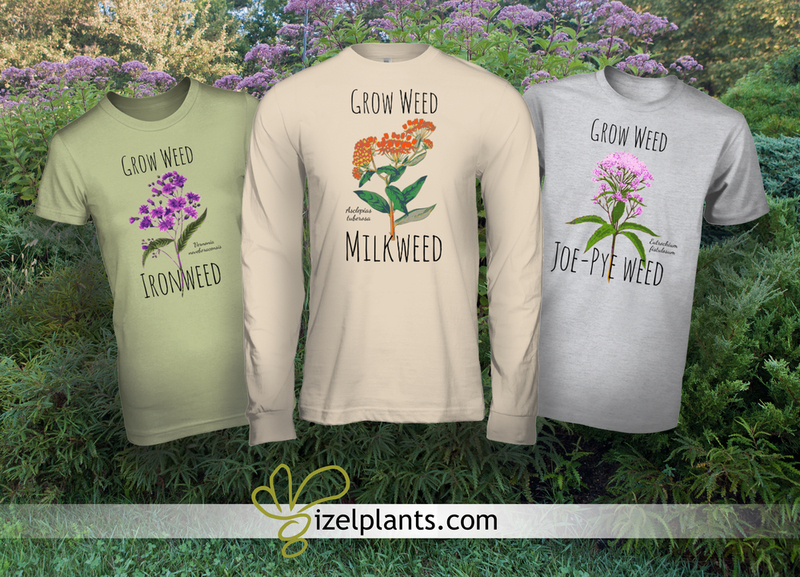 Show your wild side and your love for native plants with this exclusive line of T-shirts designed by Izel Plants. 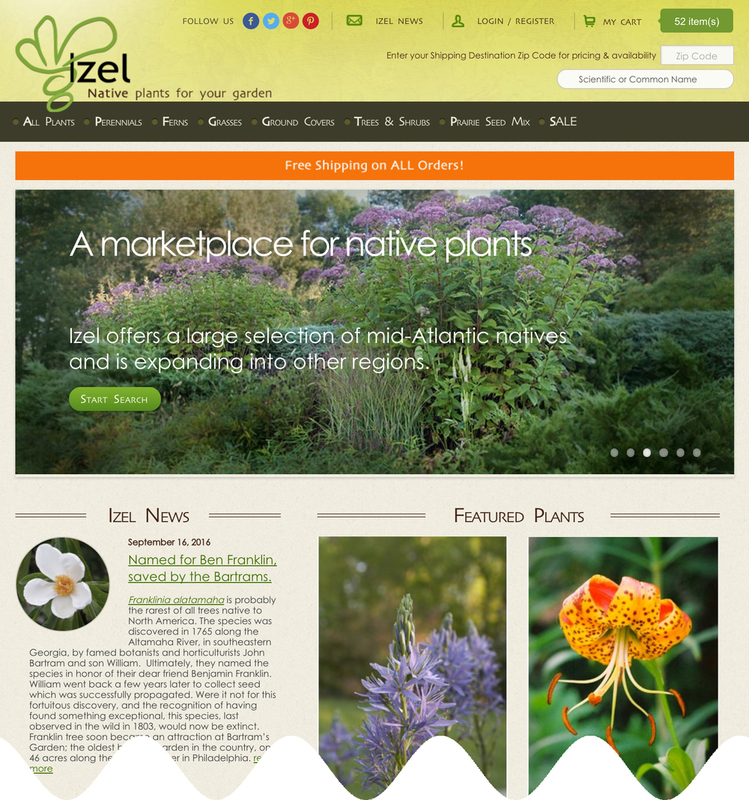 Launched in 2014, izelplants.com is a unique e-commerce website dedicated to selling native plants in the US. We combine the inventories of some of most reputable native plant growers in the Eastern US, into one convenient website loaded with detailed species information and cultivation advice. We cover everything from woodies to grasses, ground covers and ornamental perennials, wetland plants to plants for dry shade, spring ephemerals and more. Some of our plants are very rare, while others might be more common. We have the most complete and wide ranging selection of straight species native plants that can be found on any one website. Without exceptions, all of our plants are nursery propagated, which is an essential part of our mission to relieve the pressure on endangered plant communities. Proceeds from the T-shirt sales will help make upgrades to the website and add even more of the high quality features you’ve come to expect from us. You will also be helping expand our reach, and bring even more native plants to market. So, spread the word by wearing our T-shirts. We’re working hard to expand our coverage, one ecoregion at a time! Happy gardening, and remember to grow natives. Every plant counts! Design © 2016 Izel Plants, LLC. All rights reserved. This design, including all phrases, art, photography, and graphics, may not be sold, reproduced, displayed, modified or distributed without the express prior written permission of the copyright holder. NOTICE: Izel Plants, LLC asserts its rights against the producers and distributors of infringing reproductions.